Will Democrats turn California into the Suicide State? 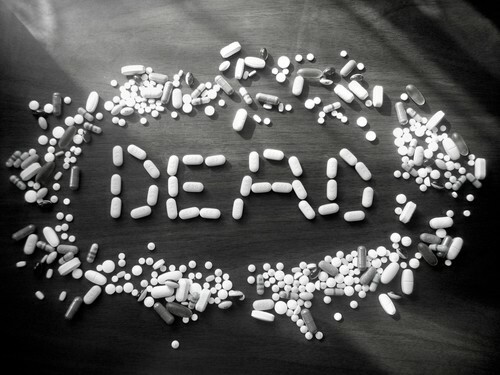 Do you think it’s right to tell a depressed person they’re better off dead? That’s what Senate Bill 128 in California would do. So-called “terminal” patients (and how often this diagnosis has been refuted when desperate patients seek alternative treatments on their own) would be given a proposal of a lethal dose of drugs to “put you to sleep forever” (kill them) in bed. In Oregon, which SB 128 is modeled after, physician-assisted suicide isn’t done for pain, but for loss of autonomy. In other words, doctors are killing depressed people. How much this violates long-held medical ethics and the sanctity of human life. The devil must love the State “offing” people before they have a chance to make peace with God on His terms. Just the facts, ma’am: With Oregon’s physician-assisted suicide law, the large majority of patients who chose suicide didn’t complain about physical pain, but their main concerns were “losing autonomy” (93%), “less able to engage in activities making life enjoyable” (88%), and “loss of dignity” (73%). See the official Oregon stats. A 20-year-old incapacitated in the hospital after a motorcycle accident could cite the same concerns! Despite these facts, after passing the Democrat-controlled Senate Health Committee on March 25, by my count, it’s virtually assured that SB 128’s physician-assisted suicide (PAS) will also be approved by the Democrat-controlled Judiciary Committee, and go to the Senate floor in May. There, this suicide-promotion bill will likely pass by a narrow vote — unless there’s a big fight against it in Hispanic and culturally Catholic strongholds. I say this because if enough people in their districts rose up in protest, enough Democrat state senators could vote no. With a 40-member State Senate, a majority is 21, and by May the Democrats will hold 26 Senate seats. If physician-assisted suicide passes the Senate, the only other place it can be defeated is in the 80-member Assembly, with younger, more pliable, and “less crusty” politicians. So please also urge your own assemblymember to vote no on SB 128. The prohibition against killing legally innocent people is later formalised in the sixth commandment, ‘You shall not murder’ (Exodus 20:13; Deuteronomy 5:17). The Hebrew word for ‘murder’ is ratsach (Greek phoneuo) and its meaning is further defined in four main passages in the Pentateuch (Exodus 21:12-14; Leviticus 24:17-21; Numbers 35:16-31; Deuteronomy 19:4-13). These passages resolve any ambiguity for us and give a precise definition of what is prohibited, namely the ‘intentional killing of an innocent human being’ (Exodus 23:7; 2 Kings 21:16; Psalms 106:37,38; Jeremiah 19:4). Euthanasia clearly falls within this biblical definition. 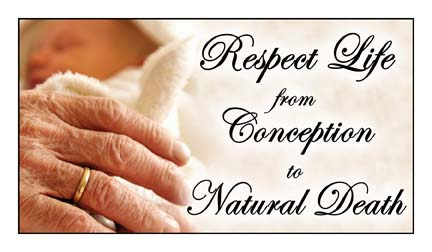 There is no provision for compassionate killing, even at the person’s request and there is no recognition of a ‘right to die’ as all human life belongs to God (Psalms 24:1). Our lives are not actually our own. Suicide (and therefore assisted suicide) is therefore equally wrong. Posted in California Legislation, Fighting for what's right, Life, SaveCalifornia.com | Comments Off on Will Democrats turn California into the Suicide State? If you’re like me, sometimes you don’t even watch the news because it’s so one-sided. 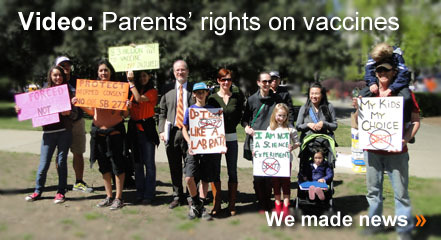 But sometimes, when SaveCalifornia.com seizes the opportunity, the news can be one-sided…for parental rights! Then, please pick up the phone and urge these key senators to oppose the anti-parents’-rights, anti-informed-consent bills, SB 277 and SB 392. Thank you for all who support our Campaign for Children and Families, as we stand true for parental rights, constitutional rights, and basic human rights. No man is good enough to govern another man, without that other’s consent. I say this is the leading principle—the sheet anchor of American republicanism. Is innocent human life sacred? Should doctors be able to kill any patients? If you answered YES to the first question and NO to the second, please make this 1 phone call right now. You are needed to oppose the Democrat state legislators’ bill, SB 128. This very bad bill would permit California physicians to prescribe deadly drugs to so-called “terminal” patients. Don’t let California become the Suicide State! 1. Call your own state senator’s State Capitol and district office too (the bill will be voted on first in the State Senate). 3. Have a business, organization, ministry, or school? Add your name to the official list of SB 128 opponents that all the committee members see. You can help make this a long list! Fax your one- or two-page opposition letter on your business, organization, ministry, or school letterhead to the Senate Health Committee office at 916-266-9438 before noon March 18. Don’t have a fax? You can also email your opposition letter to Teri.Boughton@sen.ca.gov.